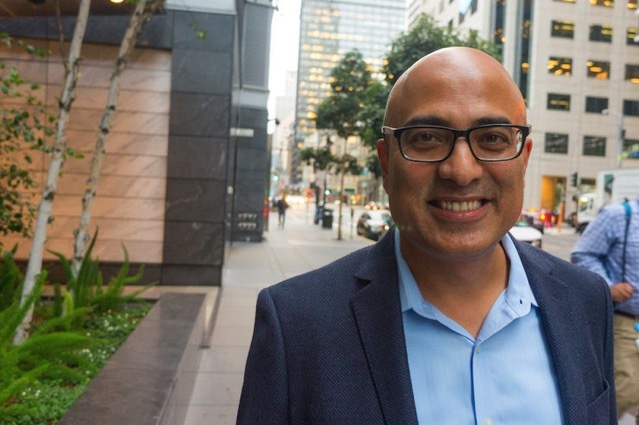 Vinay Pai leads Intuit's developer initiative. Intuit is planning a major expansion of its online Quickbooks business group into a machine learning advice, data and services platform for creating, managing and operating all types of small businesses. The expansion of the Quickbooks platform and new partners will be announced at Intuit's Quickbooks Connect conference in late October, in San Jose, California. The event will feature some of the top developers of apps for Quickbooks' users, such as payroll services. "We will showcase some of our most successful developers at the conference and introduce a very attractive revenue sharing model," said Vinay Pai, Vice President of Developer Group at Intuit. The goal is to attract the more developers to expand the Quickbooks platform into an essential partner for small business owners -- huge market. Starting or buying a small business is risky but there is less risk if Intuit can provide information on likely costs, profit margins, competitive factors, foot traffic. "We are using machine learning to help identify the types of data, services and tools that a small business needs. And we have lots of data about small businesses because of our many customers, this will be combined with external data sources." Pai says. The data will be regional and specific to each type of industry and market, and provide small business owners with information to aid management decisions such as expansion, new product lines, etc. Pai says the Quickbooks platform will also help small businesses expand online sales. "Some of our clients are doing extremely well selling online and around the world." Developers for the platform conform to the same graphical user interface of Quickbooks to deliver their services and software in a familiar format. There are currently about 2500 active developers out of 25,000 registered, a standard 10 to 1 ratio that's typical in the industry, says Pai. Intuit is sweetening the deal for new developers and says it will charge only a 20% lifetime revenue share on sales -- Apple's Appstore takes 30% -- a 50% higher fee. Pai says developers are very happy with the revenue sharing because of large boosts in sales. In trials with software partners Intuit has managed to more than double the sales of some of third-party developed software on the current Quickbooks platform. But not everyone will be able to partner with Quickbooks. Only developers with a good customer rating and fast customer response times will be represented in its app store. A special machine learning program will continually monitor software sales and spot problems and rising stars. Only a tiny percentage of Apple app store developers make money. Quickbooks intends to show that with its low revenue share model and a limited number of curated applications on sale -- good software will be profitable software. The upcoming Intuit Connect conference will take a page out of conferences such as Salesforce's Dreamforce with a roster of top inspirational speakers (and maybe to make up for the San Jose location): Michael Phelps, Simone Biles, Tony Hawk, Shaquille O'Neil, Malcolm Gladwell and the ever active Jillian Michaels will be there. Also, Intuit Chairman and CEO Brad Smith.